Covering Dixie Like Mildew: Stephen Garcia, Derek Dooley, and more. "SEC schools not afraid to spend to win." 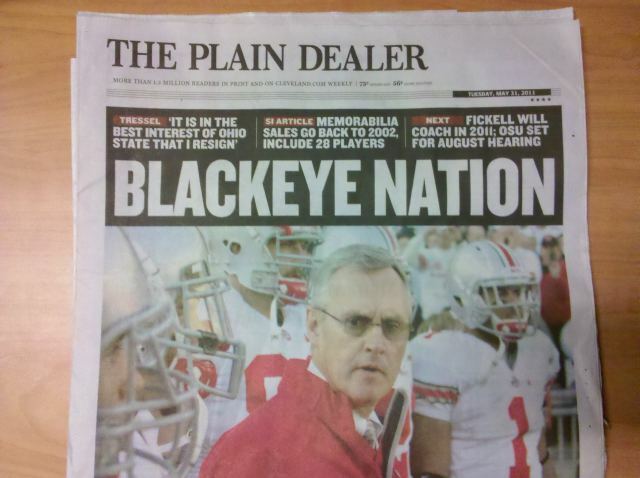 Big Tentacles: Jim Tressel fallout edition. "The Real Jim Tressel" had to go. And how are Michigan fans taking the news? Sports Illustrated's Tressel investigation unleashed on the internet. It's been talked about for a while, and now it's here. 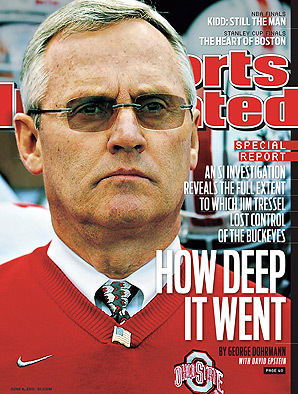 George Dohrmann's Sports Illustrated story on alleged NCAA rules violations during the Jim Tressel coaching era at Ohio State. 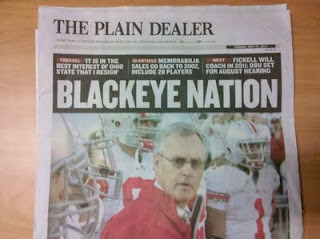 Obviously, Tressel's registration/firing caused a rewrite or two today. But it's beginning to sound like Ohio State's troubles may be just beginning. Big Teneacles: A couple of Big Ten Memorial Day links. Hope you've had a good Memorial Day so far. Here are a couple of Big-Ten related links to remind you the real reason why he take time to celebrate today. 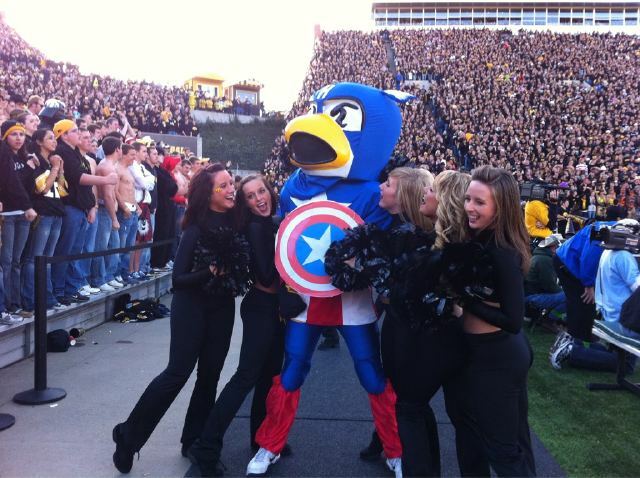 Black Heart Gold Pants takes time to honor Nile Kinnick, Iowa Quarterback and Heisman Trophy winner, and whom Kinnick Stadium is named after. He served with the US Navy in World War II. He died during a training flight off the Venezuelan coast in 1943. Hammer and Rails remembers Army Captain Kevin Landeck, a Purdue student who was killed by an IED while serving in Iraq. 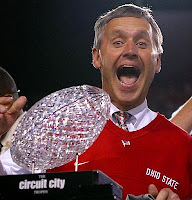 Jim Tressel resigns Ohio State head coaching job. So much for a slow news day. ESPN is reporting that embattled Ohio State head football coach Jim Tressel has turned in his resignation. "After meeting with university officials, we agreed that it is in the best interest of Ohio State that I resign as head football coach," Tressel said in a statement Monday morning. "The appreciation that Ellen and I have for the Buckeye Nation is immeasurable." Tressel's assistant Luke Fickell has been given the nod to take over the Buckeye's head football coaching job for the 2011 season. Fickell had previously been selected to fill in for Tressel during his five game suspension. Be ready for a lot of chatter about Tressel's replacement, including talk of Urban Meyer getting the nod. Big Tentacles: Sunday quick hits. The "NCAA won't leash its full wrath on Ohio State." Waaaaariors, come out and play! Expansion Silliness returns: Georgia Tech and Maryland to the Big Ten? "There may be more trouble coming for the Big East if the Big Ten decides to move forward again in a few years; already there are rumblings that it might go to 14 teams, with an eye on Georgia Tech and Maryland, which would significantly increase its television footprint." Georgia Tech and Maryland? Seriously? When it comes to football (and like it or not, football is guiding the expansion process) neither school can truly be called a blockbuster program. And neither one is really going to truly open up markets for the Big Ten. Georgia Tech is lucky if can steal headlines from Georgia on a good day; and when it does, it usually involves a coach being fired. As for Maryland, it's slowly losing any relevance it had as a football team, while fellow in-state school Navy is once again on the rise. It's doubtful that the Big Ten is so itching to expand right now that it would be to undermine a fellow BCS conference's stability. At least a fellow BCS conference not named the Big East that is (which barely counts these days). Nebraska's joining the conference happened at the right place at the right time. The only school the Big Ten would truly pounce upon given the chance is Notre Dame, which doesn't seem to be happening any time soon. Just file this story under "The voices in your head don't count as reliable sources" category until further notice. Tate Forcier reportedly hospitalized after incident with police in April. Grand Rapids, Mich. station WOOD is reporting on an incident in April involving former Michigan quarterback Tate Forcier. The station reports Forcier was found hanging out of a window of his girlfriend's apartment building by Grand Rapid police officers. "Tate Forcier, who quit the football team earlier this year, had locked himself in a bedroom of a third-floor apartment April 22, and was hanging out the window, the report states. A woman in the apartment complex, in the 100 block of South Division Avenue, called Grand Rapids police. No one will say whether this was a suicide attempt, but the police report states the woman who called was concerned Forcier would jump from the window. Officers were able to get Forcier to open the bedroom door. He was not arrested, but transported to a hospital." There's been no further word about the situation, or how long Forcier was allegedly hospitalized. Forcier's been admittedly a target around here, but this story isn't very humorous. Hopefully things have or are being resolved at the moment in Forcier's life. And if you feel like you're in a tough situation or are feeling distraught enough to harm yourself, please find someone to talk to and/or seek professional help. Dancing in the Ruins: An unhealthy amount of Pac-12 and Big 10-related stories, and...Steel Jantz? What could the Big XII learn from the Big 10? Big Tentacles: Tyler Moeller, Russell Wilson, Penn State, and more. I've looked at life from both sides now? Mike Blakely reportedly transferring to Auburn. Will tate Forcier join him? Like you didn't think I wouldn't use this image. There are reports that ex-Florida running back Mike Blakely had decided to transfer to Auburn. It also appears that Auburn might be the landing spot for a somewhat big-time transfer in college football circles in one Tate Forcier. 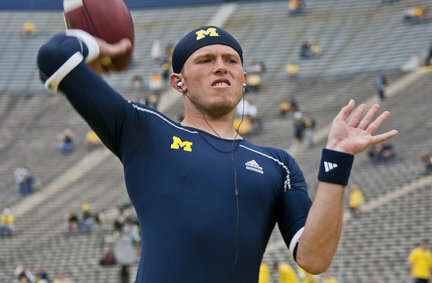 The former Michigan quarterback is looking at the school along with some others, after deciding not to transfer to Miami. "I'm looking into Auburn," Forcier said. "I'm definitely interested in USC, San Diego State, Montana, Kansas State and University of San Diego. I have to lay everything out and figure out my visits." To quote Dr. Clayton Forrester, "There's no use describing this. It just is." Covering Dixie Like Mildew: Russell Wilson, South Carolina, John Calipari, and more. "A Peek Into John Calipari's Soul." Joe Namath surveys tornado damage and recovery efforts in Tuscaloosa. Legendary Alabama and New York Jets quarterback Joe Namath returned to his Tuscaloosa collegiate days' stomping grounds to tour the damage caused by the tornadoes that hit the city in April, and to survey the rebuilding efforts in the area. He was accompanied by the Mayor of Tuscaloosa, Walt Maddox. "It's very difficult," Namath said standing in front of what once was the elementary school's entrance. "I'm just astounded at what I've seen as far as destruction goes, but certainly enthused because of the people's effort so far. And I know we will be there continuously after this. It's easy to talk about doing things and getting things straight, but it's awful time-consuming. You can't quite relate to what effort it's taken the people of Tuscaloosa to get together and help out." "My heart just aches for the folks that have suffered so dramatically. But we need to stay positive." Les Miles is on a boat. 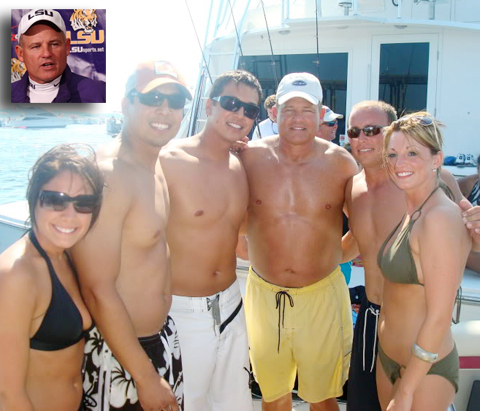 Courtesy of Sports by Brooks, here's probably the last thing on Earth you ever wanted to see - Les Miles shirtless. * It's certainly not the first thing I want to see when I click onto the Internet in the morning. What's even more disturbing is that the Mad Hatter looks like he had been partaking in some manscaping at the time. This pic is a few years old, taken on a LSU booster's boat called "Tiger Bait." (Insert Charlie Sheen joke here). Well, who else would let a shirtless Les Miles on their water craft? Is Texas A&M home to college football's six-man tag team champions? Rivals.com's Mike Huguenin came up with his list of the twelve best offensive trios in college football. He calls them "triplets," but I like to be a little more macho around here and calls them "college football six-man tag team champions." In what could come as a surprise to some, Texas A&M's team of quarterback Ryan Tannehill, running back Cyrus Gray, and wide reciever Jeff Fuller come out on top ahead of higher-profile teams like Oregon (tied for twelfth with Stanford), Oklahoma (fifth), and Ohio State (second). His reasoning? "A&M was on this list last season - but with a different quarterback. Jarrod Johnson ended up losing his job to Tannehill midway through last season, and A&M really took off after that. Gray shared carries with Christine Michael last season, and they will do so again this season. It wouldn't be a surprise to see those two combine for around 2,000 yards. Fuller is overshadowed in the Big 12 by Blackmon and Broyles, but he still is one of the top 10 receivers nationally. He is coming off a 72-catch, 1,066-yard, 12-TD performance in 2010." Texas A&M surprised many last year by nabbing a one-third share of the Big XII South title last year. 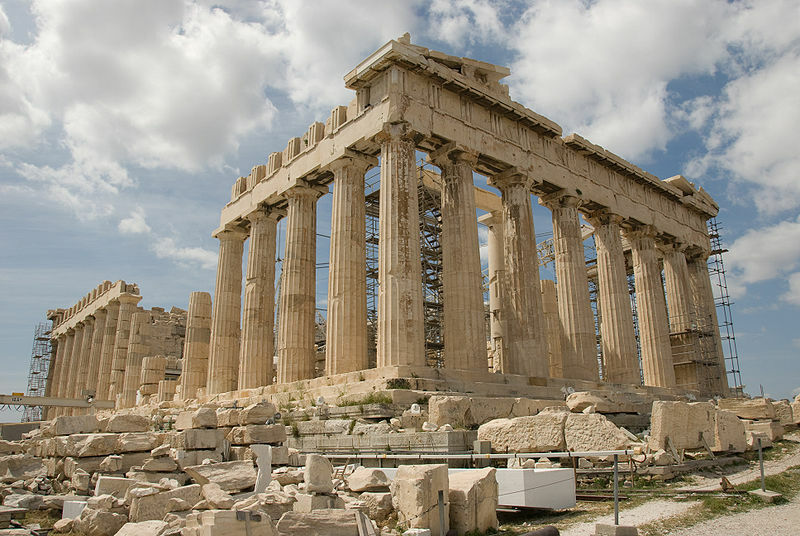 Whether it can build on this next year will have to be seen. And Tannehill, Gray, and Fuller will probably have to develop more as both individuals and as a unit if the Aggies want to jump ahead of Oklahoma, which is projected by many as being in the BCS title game. Tim Tebow with Bono? Tim Tebow with Bono. Christendom's favorite QB with a singer who thinks he's...nah, I don't want to go there after dodging the bullet with the apocalypse this weekend. Just enjoy this pic of His Tebowness and His Bononess taken backstage at U2's concert in Denver this past weekend. 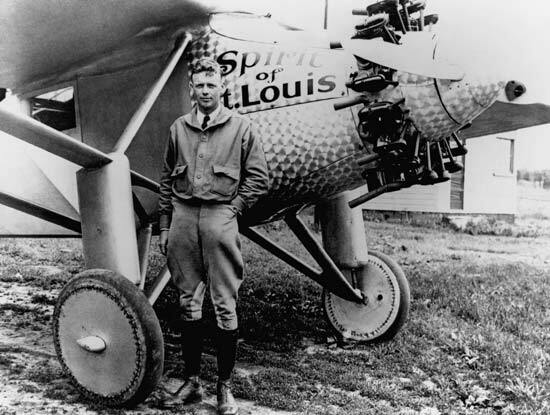 Unquiet on the Western Front: Stanford, Arizona State, and Air Force. Air Force is the 30th best team in the country. Big Tentacles: Nebraska, Iowa, and oh yeah, Joe Paterno is old. The Big Ten's idea of giving extra money to athletes is a bad idea. Indiana will night game at home against Virginia on Sept. 10. 'Round, 'round, get around, I get around. Cool Michigan-related licensee plate ideas. 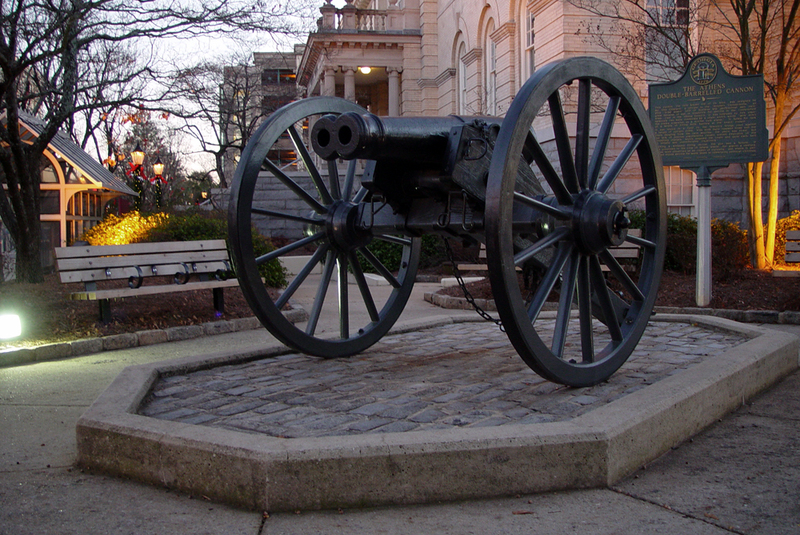 Covering Dixie Like Mildew: Nick Saban, Tyler Bray, and more. 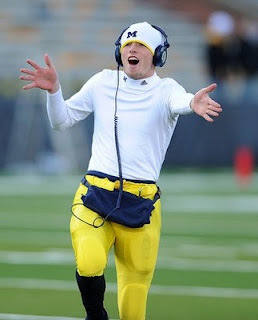 Image of Michigan "retro" jersey is leaked to the media. The image on the left shows what the Detroit Free Press claims is an Adidas prototype of the "retro" jersey the Michigan Wolverines will be wearing when they face Notre Dame in the first-ever night game held at Michigan Stadium. The Fighting Irish is reported to be equipped with helmets emblazoned with shamrocks. Conjecture by Matt Hinton is that the jersey is based on one by Michigan in the 19th century, which was apparently sleeveless with a long-sleeved striped shirt underneath. This modernized version has striped short sleeves, of course. 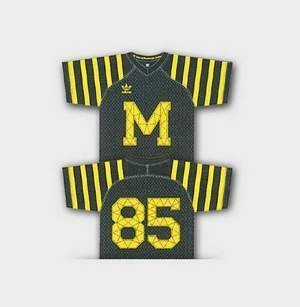 This doesn't completely eliminate the nightmare scenario that Adidas will combine this jersey with a maize and blue-striped long sleeved compression shirt. Be afraid, Wolverine Nation, be very afraid. Oklahoma linebacker Austin Box pronounced dead in hospital. Thoughts and prayers go out to the family, friends, coaches and teammates of Oklahoma linebacker Austin Box, who was pronounced dead in an Oklahoma City hospital after he was found unconscious earlier on Thursday. He has just been awarded his college degree last week. Big Tentacles: Ron Zook, Pat Fitzgerald, Brady Hoke, and more. Jim Tressel says Brady Hoke is "awesome." The Big Ten championship game should be played in an outdoor stadium. Covering Dixie Like Mildew: Will Muschamp, Mark Richt, Phil Fulmer, and more. L.A. Law (Lower Alabama, that is). Big Tentacles:Pat Fitzgerald, Jim Tressel's lawyer, Adam Robinson, and more. 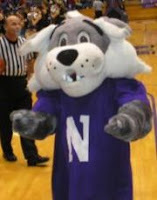 Pat Fitzgerald "works at Northwestern"
A Nittany Lion no more. 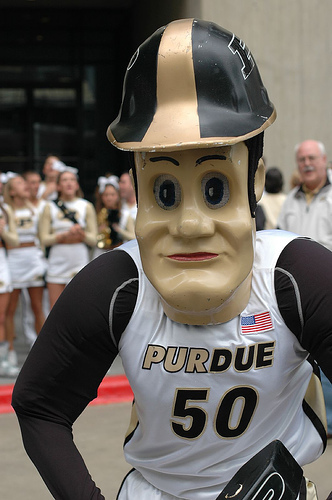 Does Indiana need a mascot? Covering Dixie Like Mildew: Bobby Lowder, Cam Newton's pants, the College Football of Fame, and more. Taking a stand for what's right. Auburn football is better because of Bobby Lowder. A slight hiccup at Georgia. Vanderbilt - It's Australian for failure. And You Will Know Us by the Trail of Dead (left behind by our mascots). Alligators that apparently sing to Lee Greenwood's "God Bless the USA." This is why America is better than any other country. Because no other country would ever thing of training alligators to do something like this for fun and profit. If they do this to "God Bless the USA," imagine how they'd react to the Team America theme song. The genius behind this is Cold Blooded Creatures. They'll even bring some of their reptilian friends for your special event. Another Auburn player has been arrested on vehicle-related charges. Running back Onterio McCalebb was arrested on charges of driving an "unregistered vehicle." It does seem that the vehicle was his, though, as opposed to the one four Auburn players were accused of stealing earlier this year, which broke the Fulmer Cup. McCalebb was also "unable to provide a valid driver's license," which sounds more like something a Georgia player would do. Bobby Lowder takes name out of consideration to remain on Auburn Board of Trustees. Infamous Auburn athletics booster Bobby Lowder has apparently thrown in the towel on his fight to keep his spot as a member of the Auburn University Board of Trustees. 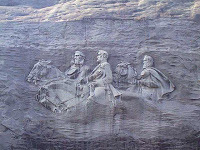 "Auburn University trustee Bobby Lowder called Gov. Robert Bentley today and asked that he not be considered for another term on the university's board, Bentley spokeswoman Rebekah Mason said. ''Bobby Lowder spoke with the governor today by telephone and asked that his name be withdrawn from consideration for a new term on the Auburn board of trustees,'' Mason said." Lowder probably thought that the cards were being stacked against him when it came to retaining his spot on the Auburn board of trustees. Alabama State Senate President Pro Tem Del Marsh blocked the approval of nine nominees to the fourteen-member board (including Lowder's reappointment) last week. Big Tentacles: Jim Tressel, Iowa's Jordan Bernstine, Wisconsin's Nick Toon, and more. Bringing balance to The Force. Penn State Week at Off Tackle Empire. 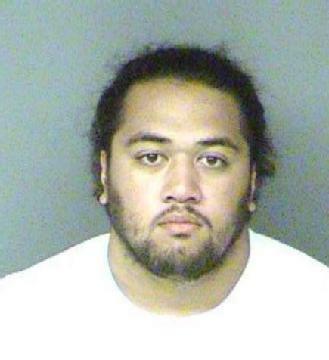 Oregon State player arrested for attempted kidnapping at McDonald's. Oregon State defensive tackle Castro Masaniai has been arrested on charges of "second-degree kidnapping, coercion, disorderly conduct, harassment and criminal mischief" after a fight with his girlfriend at a McDonald's in Corvallis, OR. 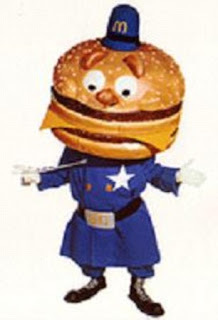 "Police responding to the call of an assault in progress say the player tried to force his girlfriend from the McDonald's, which resulted in the kidnapping charge." Ohio State organization won't give Buckeye football players their (gold) pants. It looks like tradition has taken a hit in the scandals swirling around Ohio State's football program. The Gold Pants Club, the group responsible for handing out the gold pants charms that commemorate a Buckeye victory against rival Michigan, has decided to hold off presenting the 2010 squad with their charms. This is in response to the possibility that Ohio State may have to vacate wins due to the scandal where players violated NCAA regulations against selling memorabilia. Among the players involved with the scandal are Terrelle Pryor, who allegedly sold his gold pants charm awarded to him in 2008. You can tell the Gold Pants Club might be a little miffed over that one. Covering Dixie Like Mildew: Urban Meyer, Arkansas' Tyler Wilson, and more. Urban Meyer will be coaching again someday. Will Arkansas' Tyler Wilson be as good as Ryan Mallett? Auburn's noon kickoff at Clemson on September 17 is a good thing. Bobby Lowder out as an Auburn trustee? Don't hold your breath. The news that controversial Auburn booster Bobby Lowder's reappointment to the Auburn University Board of Trustees has apparently been blocked by the president of the Alabama State Senate is starting to take off on the internet. Before Auburn fans and haters both disgruntled with Lowder's antics might want to hold off celebrating for a while. Alabama State President Del Marsh has blocked the approval Auburn's Board of Trustees by the Alabama Senate Confirmations Committee. This means that the current board, including Lowder, "will stay in place while the Legislature tries to pass a constitutional amendment that would restructure the board that governs the land grant university." That means Loweder's not going anywhere, at least for now. Marsh says he wants the restructure the board to have a "more open" approach to the nomination process, to use the current state congressional districts as the basis of determining the board's representation (as opposed to districts maps from 1961), and to add two additional at-large members of the board. None of this means that Lowder would be blocked from being re-nominated to the board. In all probability, once the issue of restructuring the board is settled one way or another, he will end up being re-nominated. In other words, don't start the "Na-Na-Na-Na-Hey-Hey-Goodbye" chants just quite yet. It will probably take a lot more to completely sever Lowder's influence on the Auburn athletic program. This is just a slight complication. Derek Dooley is a morning person, and expects his players to be as well. If your a Tennessee Volunteer football player and you like sleeping in mornings, you're out of luck. Herd football coach Derek Dooley has decided to move football practice to sessions in the morning. "I think the one thing that is evident is, we made a decision to kind of take the morning for football and the afternoon for school and I think there's a lot of reasons that make it a good thing," Dooley said. "Number 1 is, it's a lot better, I think it's going to be good for academics. They'll be up, they'll go to class and they won't have to hit the alarm. And then they can roll right into their study time. I think there's a value of getting the football out of the way, so to speak, before they can attack their day. "We've done a lot of research, a lot of diligence. I've been thinking about doing this for two years, three years. So this decision was not made on a whim." 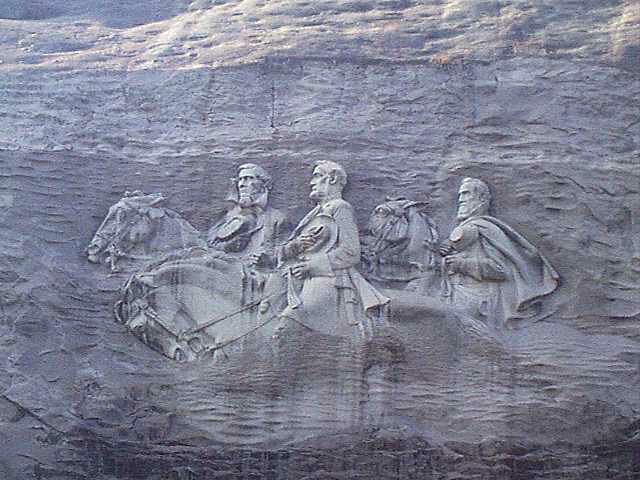 Covering Dixie Like Mildew: Washaun Ealey, Nick Saban, and the graven image of John Heisman. What should you credit Nick Saban's success at Alabama to? Please adjust your schedules, Part Deux. Chris Speilman thinks Jim Tressel won't be coaching Ohio State in 2011 season. ESPN analyst Chris Spielman, a former Ohio State linebacker, has made a humdinger of a prediction about embattled Buckeye head football coach Jim Tressel's future in Columbus. He doesn't think Tressel has much of one. "And a prediction he made on Monday night before speaking at Ohio State University-Lima’s Spring For Scholarships dinner at the Shawnee Country Club probably would have the same effect on many Buckeyes fans. He doesn’t expect Jim Tressel to be on the sidelines coaching any football games in the 2011 season. “I’d be surprised if he’s coaching next year (2011). 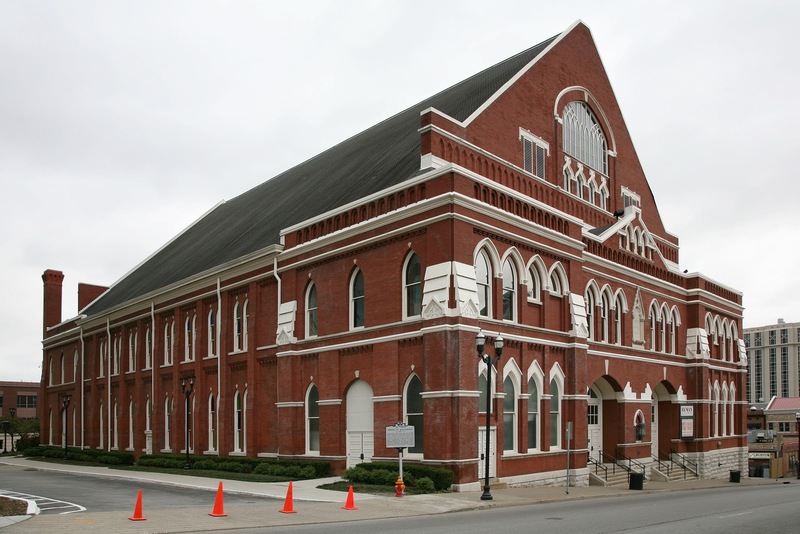 Why I say that is I think there is more stuff coming out,” the Ohio State legend said." It isn't reported in whether Spielman meant that he thinks Tressel will be fired before the 2011 season starts, or would end up being suspended for the whole season (which would probably end up leading to the first option in any place), but he feels Ohio State and the coach will make the decision that's best for the program. “That being said, Ohio State is bigger than one individual. It’s bigger than the James Cancer Hospital. It’s bigger than the band and football and basketball and the Fisher College of Business. So what has to happen, in my opinion, is that the people in charge have to take an honest look and say, ‘What is best for the university moving forward?’ Then they have to make a hard decision. If Spielman believes that "there is more stuff coming out," there's a good chance that something is going to come out that won't be very pretty for Ohio State and Tressel (and for college football, for that matter). The tragic opera cycle known as "Der Weste des Nibelungen" isn't quite over, but is seems there's a fat lady wearing a viking helmet with a red vest waiting in the wings warming up her voice. The Urban Meyer to Ohio State meme just won't die. Here we go again. Jim Tressel's reign as Ohio State head football coach still hasn't officially gone below room temperature yet, but the mindless speculation of who will replace him is starting to really pick up steam. Lost Lettermen has its list of "Jim Tressel’s Top 10 Likeliest Coaching Replacements," containing all the usual big-name suspects such as Boise State's Chris Petersen, Dan Mullen of Mississippi State, and everyone's favorite ESPN Monday Night Football analyst/coach-in-exile Jon Gruden. 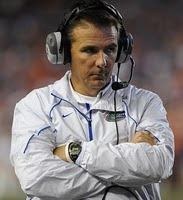 As with any no-brainer list of Ohio State coaching replacements, former Florida head coach Urban Meyer tops the list. The whole "Urban Meyer to replace Jim Tressel" meme has barely begun, and yet it has already gotten annoying. Even more so than the "Urban Meyer going to coach at Notre Dame" meme has. I thought I had personally punched a decent hole in this idea a month or so ago, but I guess not. Simply put, Urban Meyer isn't the coach you need to clean up a program that in all probability is going to get ban-hammered in one way or another by the NCAA. Think about it for a moment. Is a two-time BCS championship winning football coach going to want to go to a program that looks like it could possibly be banned from the bowl season for a year or two? The longer Ohio State winds on probation, the less likely Meyer will want to stand idly by while other coaches get to fight it out for the BCS title. And most importantly, Meyer's is just not the kind of coach that is going to be a strict disciplinarian when it comes to players getting in trouble with the law. Look at the arrest record of players at Florida during Meyer's tenure there. It's almost as long as the plaque with Tim Tebow's "Promise Speech that Meyer had placed on the outside of the Florida athletic facility. As a coach you want to have to clean up a program that's just gone through a decent sized mudhole of recruiting violations, Meyer is not the person you want to have around for the job. Even if he wanted it. If and when Meyer returns to the sidelines, it will most likely be to a program where he can come in and win quickly. With Ohio State likely facing big-time sanctions, it seems less likely to be a program Meyer would want to coach at. Crossing the Atlantic: Mark Turgeon, Al Golden, Boston College, and more. Jerry Jones wants to dress Ohio State with his love. And his clothes. Opulence? Jerry Jones has it. And while the Dallas Cowboys owner hasn't gotten that little pet giraffe yet (as far as anybody knows), he is eying the rights to other high-profile sports properties. According to The Columbus Dispatch, he Cowboys are in the running for the rights to produce licensed apparel for Ohio State. Not only that, the 'Boys want total or near total-control of the rights to the Buckeye's brand. "Most of the responses (in the bidding process) are from current, smaller licensees that want to continue producing some OSU garb. The Cowboys are one of three respondents that propose to handle all or most of the college's apparel that is sold everywhere, from college-specialty stores to supermarkets to mass retailers such as Target." It looks like Jones and the Cowboys are making a big splash in the area of apparel licensing agreements. They have reportedly been in touch with other schools about licensing agreements besides Ohio State, though most have turned down the offer. If Jones were successful in getting the Buckeyes' rights, it might open the floodgates for deals with other schools, and would probably make the business end of college sports more interesting for years to come. Houston Nutt has a contract only a Wall Street CEO could love. Houston Nutt apparently has Ole Miss over a barrel when it comes to the world of contracts. If the school decided that was time to shove him out the same door it shoved Colonel Reb through at the end of the 2011 season, it will have to pay Nutt $6,000,000 dollars. By comparison, Ole Miss would only have to dish out $615,000 in bonus money for completing the trifecta of going undefeated, and winning both the SEC conference and BCS championships. If this isn't fuzzy math, I don't know what is. Covering Dixie Like Mildew: Tyler Bray, Arkansas' Greg Childs and Jerry Franklin, UGA's John Jenkins and Kwame Geathers, and more. A Wildcat becomes a Tiger. Who will be the better quarterback in the NFL - Cam Newton or Tim Tebow? 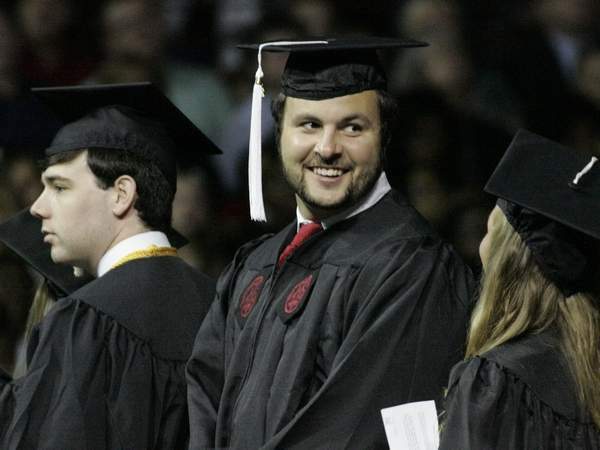 Stephen Garcia is a college graduate. You can call suspended South Carolina quarterback Stephen Garcia a lot of things (and you be assured that Steve Spurrier probably has). But one thing you apparently can't call him is a slacker when it comes to his academic studies. 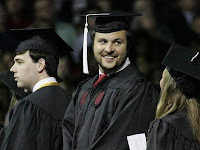 Garcia was among the group of South Carolina students who received their undergraduate degrees in a ceremony at the Colonial Life Arena. Garcia received his undergraduate degree in sociology. There's still no word yet on whether he will be allowed back to play during the 2011 season, but at least he got something out of his college days besides a nasty hangover in Atlanta. Bear Bryant with some Mother's Day advice for y'all. And if you are a Mom. Happy Mother's Day to you. Aggie flash mob is yet another reason why Texas A&M should NEVER be allowed in the SEC. Consider this reason #14 why Texas A&M should never be allowed to join the SEC if the Big XII ever splits up. There are people who think flash mobs and Glee are the greatest things since sliced bread. Obviously, this clip proves them wrong. #11. The Aggie Corps of Cadets provide the best reason to reinstate "Don't Ask Don't Tell. #12. Neal Boortz is an Texas A&M alum. #13. "The Aggie Song" from The Best Little Whorehouse in Texas. 'Nuff said. Big Tentacles: Recruiting, Tom Osbourne, Tubby Smith, and more. Tubby to be a Terrapin? ¡Tate Forcier wishes you a bueno Cinco de Mayo! Boise State facing NCAA sanctions? How Bin Laden was taken out.